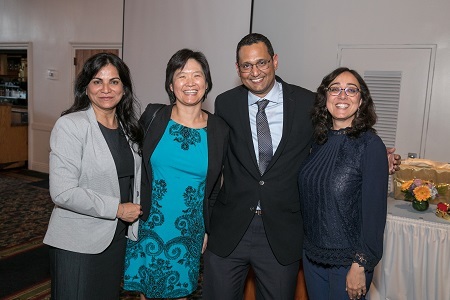 The 2017-18 Pathology Farewell Reception and Dinner took place on June 5th at the UCLA Faculty Center. The graduates were honored on a beautiful Southern California spring evening. 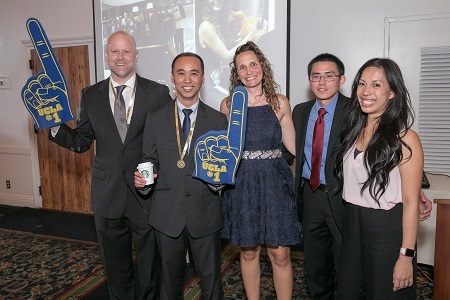 The night began with an opening reception and poster exhibits featuring collaborative projects of faculty and trainees. Our department chair, Dr. Jonathan G. Braun hosted the evening’s dinner and presentations, which included the acknowledgement of faculty mentors. Nwe Nwe Soe, M.D., Ph.D.